Are you concerned about speeding traffic in the village and pedestrian safety? Please come to the Village Meeting at 7:30pm on Wed 12 Dec in the Fentham Hall. The Society is working with the George Fentham Trust to carry out maintenance on the Arboretum and we have been advised to carry out the jobs below. We start work at 2pm and will continue till dusk. Please come and join us! Please also bring any tools that would help with the jobs listed. Is Hampton a Hedgehog Hotspot? 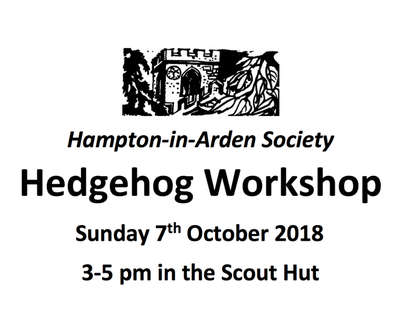 Sunday 7th October was a busy day for hedgehog lovers in Hampton. 21 families, and extras who arrived unexpectedly, spent an afternoon trying to answer this question helped by Tara Higgs, a Hedgehog Officer working with Warwickshire Wildlife Trust and Solihull Council. It was a chance to learn more about hedgepigs, hoglets, hibernation and how our village can help this threatened mammal. Shockingly hedgehog numbers have decreased from 30 million in the 1950’s to 1 million today. 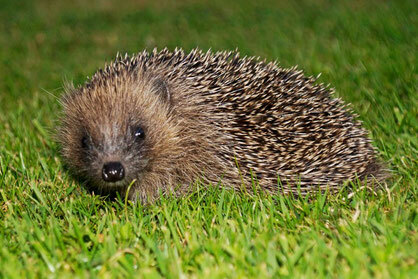 More than half of British people haven’t seen a hedgehog. The decline is 30% in urban areas and 50% in rural areas. These creatures need help and fast. Learn all about how we can help hedgehogs and build a hedgehog house with the Solihull Hedgehog Officer, Tara Higgs. All ages welcome. Children must be accompanied by adults. Free squash and biscuits for children. Just a friendly reminder for all residents, young and old. Some amazing villagers worked so hard to tidy up and the village looked beautiful before and after the Hampton Festival. Sadly since then a few litter blackspots have been noticed. Mostly the ash path between the station and the sports club, but other spaces that we are so lucky to share as a community. Whether it’s a Moam or a Werther wrapper, dog poo or a pop can – it’s your rubbish. Please dispose of it properly so the village remains a joy and somewhere we can all be proud of. Thank you. The Hampton-in-Arden Local History Group is having an open day on Wednesday 11th July 2018 to showcase their archives, research and resources to local residents. 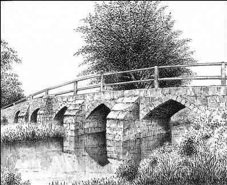 If you are interested in the history of the village, perhaps your own street or home, please pop in and have a look at what they have from 3.00 to 8.00pm in the Fentham Meeting Room, Marsh Lane. The Local History Group was formed in 1992 with the aim of promoting the interest of local history within the community. The Group holds a huge collection of artefacts and records relating to the village including census returns, electoral rolls, parish & manorial records, hundreds of old photographs and postcards, newspaper articles, copies of previous talks, presentations and research studies, books on local history, old maps, plans & surveys, wills/probate, house deeds and general historical information on local schools, businesses, organisations, the Peels, the railways and the Fentham Trust. 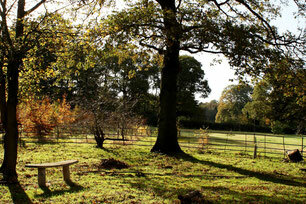 For more information see the Hampton-in-Arden Local History Group website. Great weather for May Day Walk! Over 40 people joined the May Day Walk in glorious weather on 7 May. Many thanks to all who came, to all who helped marshal, and especially to Alan Morden who led the walk. Many thanks to Mary Coles who took the photos below. Chief Superintendent Bas Javid, Solihull Police Commander, delivered an excellent talk on 7th March and fielded searching questions about policing from villagers. His outline of recent changes and ability to answer questions with clarity addressed concerns including response to 999 and 101 calls, the closure of Solihull Police Station, the allocation of police resources and Neighbourhood Watch. There was praise of vigilant villagers monitoring offenders resulting in a significant impact on crime. The Chief Superintendent assured all present further feedback on unanswered questions and a personal interest in the future of Neighbourhood and Speed Watch in Hampton-in-Arden. He also encouraged all who live, work or have an interest in the West Midlands, to register on WMNow to get information about local crime alerts and witness appeals. Just click on the JOIN button on the front page to sign up. 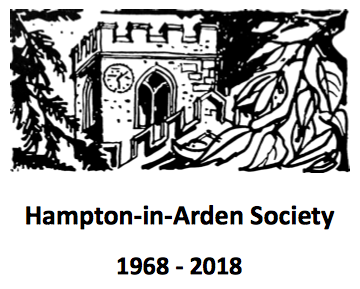 Look out for the Hampton-in-Arden Society 2018 Programme which will be coming through your letter box in the next couple of weeks along with this letter from Victoria Woodall, our Chair, and our annual request for donations. The suggested annual donation remains at £2.00 for the first family member and £1.00 for each additional member. There is now an option to pay online! Hope to see you all at our next meeting on 7 March, a talk on policy and resource issues by Solihull Police Commander, Chief Superintendent Bas Javid, with opportunity for questions and comment. The meeting starts at 19:30 in the Fentham Hall. The Consultation meeting in Hampton will be in the Fentham Hall on Friday 19 January 2018 from 12pm to 8pm. For dates of all the Consultation events being held in January / February 2018, see the Parish Council website: M42 Junction 6 Consultation. All are welcome to attend any of the events. All are also welcome at any of the Consultation events which are being run locally till 31 Jan. Regular Spinney walkers will have observed a fallen beech tree after Storm Eleanor. 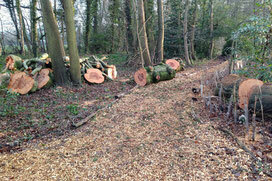 Graham Dawson and his team speedily cleared and repaired the area to protect bluebells and a hedge. Worryingly, the beech tree had diseased roots and there was concern about a neighbouring horse chestnut tree which was severely cut back, leaving just a tall stump to encourage woodpeckers. The Spinney will be surveyed carefully to check whether any disease has spread. If you believe the Coventry Local Plan does not do enough to protect the greenbelt, please follow this link to sign a petition raised by Merle Gering: Keep our Green Belt GREEN Coventry & Warwickshire. The Local Plan includes development on the greenbelt in Eastern Green so will encroach on the Meriden Gap, and, remarkably, it is based on assumptions of rapid population growth in Coventry which nobody believes. The petition is on the 38degrees.org.uk website, so anyone can take part - you don't have to live in Cov. The petition "Build on brownfield first. Promise to protect our Green Belt. Put 'Brownfield First' into the Local Plan now." raised by Dr Walter Milner, Chair of Keresley Parish Council, on the Coventry City Council website closed on 5 Dec with 42 votes. Hampton-in-Arden Parish Council has agreed to a request from Catherine-de-Barnes Residents Association to consider incorporating the unparished area of Catherine-de-Barnes into the Hampton Parish. The formal process to do this is now underway with Solihull MBC. Your feedback is encouraged, and is requested by 31 Dec 2017. For more details, including how to make feedback, see the linked flyer. You are also welcome to attend a drop-in session at the Meeting Room, Hampton Parish Office on Tue 12 Dec between 5pm and 7pm, and/or a meeting for residents in Catherine de Barnes Village Hall on Fri 8 Dec at 7:30pm. Where's the Parish Council Boundary? 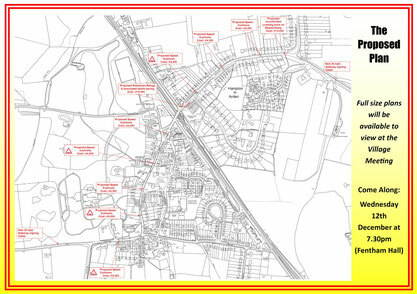 We were asked recently: is my house in the area covered by Hampton-in-Arden Parish Council? This map from mapit.mysociety.org shows the Hampton-in-Arden Parish Council boundary. You can zoom in for more detail on the "live" map here or you can search by postcode on the mapit.mysociety.org homepage. Solihull MBC also offers some information by postcode on their online maps page. Do you have confidence in your local police? West Midlands Police are asking people to fill in a survey about their confidence in the Police and about how safe they feel. 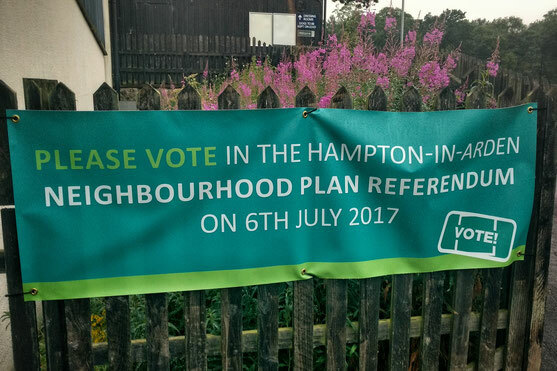 Given the current levels of concern about crime in the village, the Hampton-in-Arden Society Committee agreed to publicise this request, and encourage as many as possible to take part. See below for further details and a link to the survey. 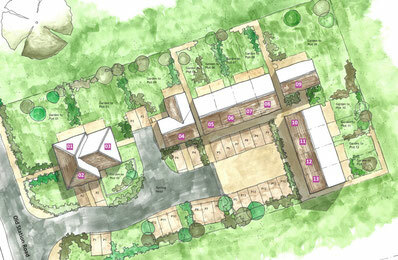 Local developer Elegant Homes has a proposal for shared equity affordable homes in Old Station Road. The plans are available to view in the Fentham Hall from 16-19:30 on Tuesday 26th September. See this flyer for more details. If you have seen a fly tip, let SMBC know by calling 0121 704 8000 or report it online. Following a meeting with Solihull MBC Highways, a paper detailing the various traffic calming measures currently available to local authorities was prepared. 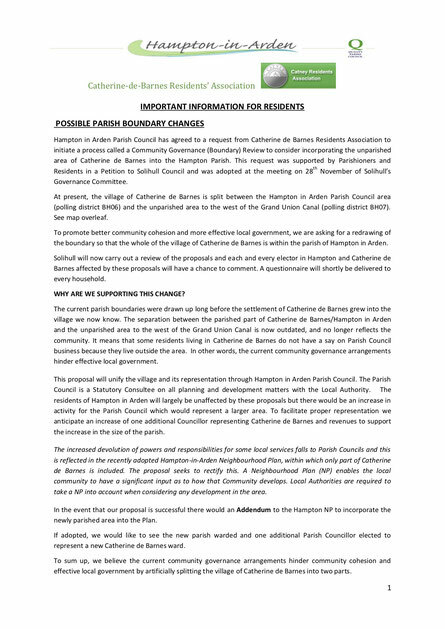 The suitability of each option is described and recommendations have been made as to their application in Hampton in Arden Parish and the village of Catherine-de-Barnes. You can view or download the paper by clicking the buttons below. Please vote on Thursday 6 July in a referendum to answer ‘yes’ or ‘no’ to the question above. For more information, see Hampton in Arden Neighbourhood Plan Referendum on the Solihull MBC website. To read or download the plan, click the cover image of the plan below. 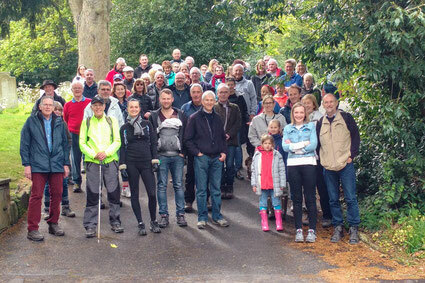 Alan Morden led over 60 walkers on a 4 mile May Day Walk from Hampton to Bickenhill and back. Many thanks to Alan, and to all who took part. Many walkers went on to enjoy some gentle May Day hospitality in the White Lion after the walk! A member of CPRE has established a petition calling on Sajid Javid MP, Secretary of State for Communities and Local Government, to protect the Green Belt. If you would like to help save the Green Belts around Warwickshire and elsewhere in England, please complete the form here - To Protect English Green Belts - it takes about 30 seconds! Following the recent addition of new evidence to the evidence base, the deadline for the Draft Local Plan Review consultation has been extended until Friday 17 February. The last chances to talk directly with the J6 Project Team are on Sat 14th (at the NEC) and Wed 18th of Jan (in a webchat). More details, plus links for submitting comments below.